During the Trump Care Meltdown, when the same Republicans that chanted “Repeal & Replace” for 7 years, folded like a broken down lawn chair in a category 5 hurricane, we learned about a couple mysterious Republican Congressional Caucuses instrumental in torpedoing the AHCA. These two groups come from such opposite sides of the political spectrum they undoubtedly have dartboards with each other’s pictures tacked to the middle. The Freedom Caucus is made up of members that formerly self- identified as Tea Partiers but changed their name to interact with civilized people. Of course we’re referring to those unsung heroes of the Democratic process: forced to trudge the minefields of ego and weather the storms of unconscionable incompetence, those brave patriots that soldier on in relative obscurity as Congressional staffers. Way over on the other side is the Tuesday Group, moderate Republicans; which in the 60s were known as the Wednesday Group. Seriously. You got to wonder if there’s a 2nd Thursday in Months that Don’t Have an R in Them Group because if so, they haven’t been much of a factor lately. One of the nearly 200 official groups is the Mental Health Caucus ostensibly charged to study the multitude of mental health problems plaguing the country and the lucky part is the wealth of raw material available without ever leaving the Capitol grounds. The Bipartisan Heroin Taskforce doesn’t actually use heroin, but they know where you can get it. The Congressional Asthma & Allergy Taskforce meets when pollen counts are low, or not. And the Electromagnetic Pulse Caucus is rigorous about backing up the minutes of their meetings onto multiple hard drives. There’s the Congressional Cannabis Caucus that one likes to think gets together every Friday at 4:20. And of course, the Friends of Kazakhstan Caucus. Or is it the Friends of Lanie Kazan Caucus? Always get those two mixed up. Don’t know if The Brotherhood of Liver Transplant Recipients, the 3rd Wives Elimination Group, Tiny Hands Union, The Elvis Caucus, a group of Southerners whose meetings feature a fried banana and peanut butter sandwich buffet or the Floss With Domestic Licorice Advancement Group exist, but they could. The Blue Dog Coalition is a group of conservative Democrats and totally different than Yellow Dog Democrats, so enamored of their party they would vote for a yellow dog if it were on the Democrat ballot. No Purple Dog Democrats or Plaid Dog Democrats, yet, but the chroma-kennel is definitely growing. The Congressional Values Action Team exists, but hasn’t spread its sphere of influence very wide. Everyone get honorary membership in the Mirror Appreciation Society, and undoubtedly, there’s a Beelzebub Friendship Network and Bipartisan Flunky & Bootlicker Support Group that operate under different names. While the vast majority of caucuses are not much more than excuses to drink with friends in private, the most useless and ineffectual group that occasionally meets but accomplishes absolutely nothing is a group you may know as… the Democrats. Copyright © 2017, Will Durst. 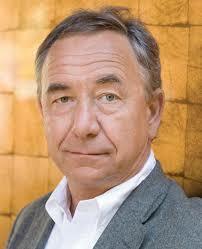 Will Durst is an award- winning, nationally acclaimed columnist, comic and former ice cream truck driver. For a calendar of personal appearances, including this week at the San Francisco Punch Line April 12- 15, please visit willdurst.com. LOCAL VOWS TO END STUPID!